Marilyn Lee Laggis passed away suddenly Dec. 7, 2010. She was 71 years old. She left behind the love of her life, Stratton, and her four children. Mom was born in Malad, Idaho, on Feb. 5, 1939, to Harold and Maxine Thompson. 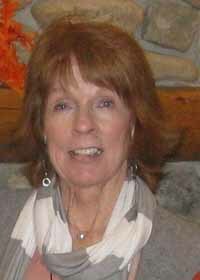 Since 1968, she has lived in Ketchum, Idaho, where she raised her family. She met Dad over a holiday break when her brother, Max, brought him home. After that Christmas break, Dad left to go back to school and Mom told her mother that "she was going to marry that guy." She soon followed Dad to Moscow where he was attending college and on Sept. 16, 1961, they were married. Mom brought four children to our dad and they became the center of her world with every waking moment dedicated to giving them a perfect home; and it was. Mom was involved in many activities over the years and followed her children's activities without fail. She was their biggest fan and knew everything about each of their sports. She not only raised us but looked after all of our friends as though they were her own, and in the years that followed she would update us on all of the happenings in our friends' lives. After the kids all graduated from high school, she remained active in the community, working with other children at the schools and patiently waited for grandchildren. The first three started in 1988 when Stratton Paul was born in Anchorage, Alaska, followed by Kody Paul and then Zoie Jean. After a long drought, Emmett arrived in Crested Butte, Colo., in January of 2007 and finally little Sofia Kate was born in Crested Butte on Jan. 25, 2010. Mom is survived by her husband of 49 years, Stratton, who lives in the family home in Ketchum, Idaho; four children, Paul and his wife, Paula, and their three children, Stratton, Kody and Zoie, all in American Falls, Idaho; Matt and his wife, Jill, and their son, Emmett Matthew, living in Crested Butte, Colo.; her beautiful daughter, Katie, living in Seattle, Wash.; and her youngest son, Chris and his wife, Jen, and the latest grandchild, Sofia, living in Crested Butte, Colo. Mom is also survived by her father, Harold, living in Twin Falls; brother Max and his wife, Dee; sister Sharon and her husband, Bob, and Sharon's daughter, Alexis and her husband, Joe, and their son, Joseph; brother Ren and his wife, Lori, and their children, Kendra and Ashley; brother Steve and his wife, DeeAnn, and their two boys, Jason and Brandon. The family is going to have a private service to be followed by a life celebration in the early summer at her home. We greatly appreciate the support from all of her friends and the community. Mom and Dad would prefer that you make a donation to the Wood River Hospice rather than sending flowers or food to the home. The Hospice was there for our dad within minutes of Mom's passing and provided invaluable service in that catastrophic moment. If you so choose, make your donation to the following: Hospice in Palliative Care of the Wood River Valley, Box 4320, Ketchum, ID, 83340, and in the "for" line on the check write "In Memory of Marilyn Laggis."